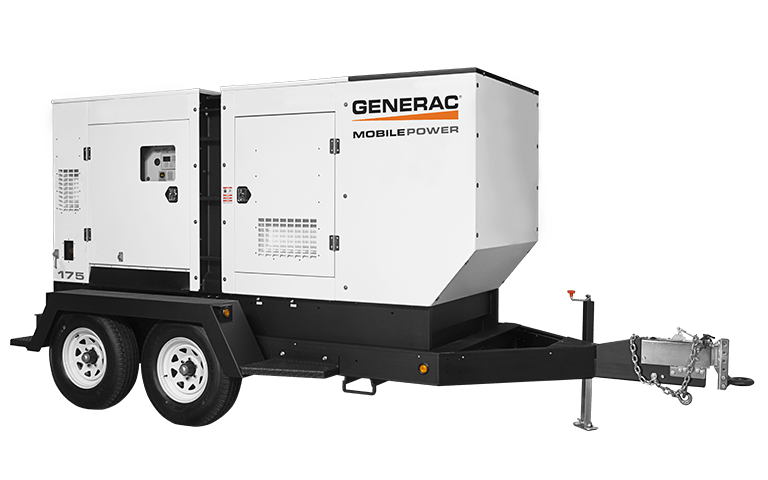 Reliable engine performance and reduced emissions walk hand in hand in Generac models as we keep pace with emissions technology meeting required emissions regulations. The MMG 175 generator, the first of a full line of Interim Tier 4 models powered by an Interim Tier 4 John Deere PowerTech engine. The MMG175 is powered by a John Deere PowerTech engine which utilizes a catalyzed exhaust filter that contains a Diesel Oxidation Catalyst (DOC) and a Diesle Particulate Filter. (DPF) The DOC reacts with exhaust gases to reduce the carbon monoxide, hydrocarbons and some particulate matter(PM). The downstream DPF traps and holds the remaining PM, which are oxidized within the DPF through a continuous process called passive regeneration. Powered by a John Deere PowerTech engine which utilizes a catalyzed exhaust filter that contains a diesel.